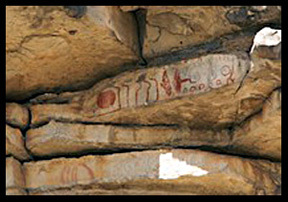 This entry was posted in Things to do in Texas and tagged Indian paintings, Paint Rock Texas, pictographs, rock art site, San Angelo Texas, Spanish mission. Bookmark the permalink. This site sounds really interesting!